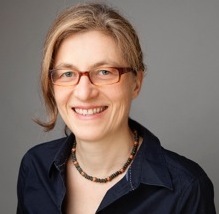 Raphaela von Weichs is a social and cultural anthropologist at the University of Lausanne, ‘Institut de sciences sociales des religions’ (ISSR), Faculty of Theology and Religious Studies. She is senior researcher in the ERC project “ARTIVISM – Art and Activism: Creativity and Performance as subversive forms of political expression” (Principal Investigator Prof. Dr. Monika Salzbrunn, 2016-2021). Within ARTIVISM, she conducts research on art and activism in Africa, with a focus on cartoon and comic art in Cameroon, as well as on France as a transnational space of Cameroonian migration. She holds a PhD in African Studies from the University of Cologne and has been trained in Anthropology and African Studies at the University of London, School of Oriental and African Studies (SOAS), the Free University of Berlin, and the University of Freiburg. Her main fields of research and teachings are in Political Anthropology, the Anthropology of Religion, of Migration, and of Music and more recently in the Anthropology of Art, Graphic Anthropology and Sensory Anthropology. She taught social and cultural anthropology at the Universities of Cologne, Bochum, Münster and the Academy of Arts in Düsseldorf, the Universities of Neuchâtel and of Lausanne. in Switzerland” examined the links between music and religion in the context of transnational migration (2011 – 2016). The research investigates religious music (choirs), travelling cosmologies and new forms of evangelization (reverse mission) in and between Africa and Europe. The postdoc project was conducted at the ‘Maison d’analyse de processus sociaux’ (MAPS), University of Neuchâtel, laboratoires d’ etudes transnationales et des processus sociaux, and was funded by CRUS (Rectors’ Conference of the Swiss Universities), the Universities of Lausanne and Neuchâtel. (see publication list). 2017. ‘”Singing is prayer two times”. A transnational perspective on cultural performance and urban religiosity in Cameroon and Switzerland’. In: Hegner, Victoria and Peter Jan Magry (eds.) Spiritualizing the City: Agency and Resilience of the Urbanesque Habitat. Routledge, New York. 2016. ‘Translocal Martyrdom: Community-making through African pilgrimages in Switzerland’ (avec Monika Salzbrunn). In: Pasura, Dominic and Marta Bivand Erdal (eds.) Migration, Transnationalism and Catholicism: Global Perspectives. Palgrave Macmillan: New York. 2013. Die Rückkehr der Könige von Uganda. Politische Kultur und Moderne in Afrika. (Transcript Verlag: Bielefeld). 2013 ‘Sacred Music, sacred journeys. What makes an event postcolonial?’ (with Monika Salzbrunn) Théorème: Enjeux des approches empiriques des religions) (online): http://theoremes.revues.org/442. 2010. ‚Moderner Herrscherkult im ostafrikanischen Zwischenseengebiet.’ In: Assmann, Jan and Harald Strohm (eds.) Herrscherkult und Heilserwartung. Lindauer Symposien für Religionsforschung. Fink, München. 2009. ‘Uganda: Protest against British Colonialism and Occupation’ International Encyclopaedia of Revolution and Protest: 1500 to Present. Blackwell, Oxford.